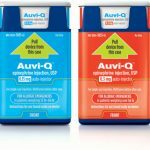 Dr. Paul Chew, Global Chief Medical Officer for Sanofi, spoke to a number of bloggers at 4:30 PM Tuesday via conference call about the recall of Auvi-Q and Allerject units in the U.S. and Canada. The company answered over 13,000 phone calls and almost 4000 emails in the first two days after the announcement. The biggest takeaway was that they do indeed want them all back to investigate the real source of the problem, and that no one should hang on just because they dislike EpiPen. Dr. Chew was insistent that the most important thing is to protect the patient from a potentially life-threatening event. As we have discussed here before, there was a limited recall in Canada after nine reports of faulty injectors a few months ago, and an inquiry at a scheduled quality review turned up an additional 17 reports dating from the launch of the product in 2013. That was the point when the recall was initiated. The FDA and Health Canada were informed. 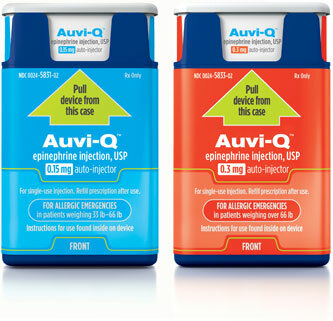 There is no projected timetable for the review of the returned Auvi-Q’s and restoration of production. When I asked him if he could describe what the inspection process would consist of, Dr. Chew said as a medical doctor, he didn’t know. This is a technological problem, not a medical one. Fair enough. Keep signing on to auvi-q.com for more updates.